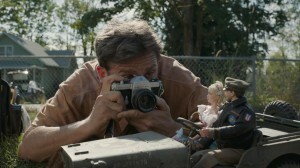 Welcome to Marwen is something else, but what is it? “The calamity of movie history is not the follies that get made but the follies that don’t get made,” Pauline Kael wrote in 1976 in her New Yorker review of Bernardo Bertolucci’s mad yet magisterial epic 1900. I liked it a lot too. Dismissals of Zemeckis films seem increasingly kneejerk.